The Americans with Disabilities Act (ADA) and State law require all state and local entities, including the courts, to provide reasonable accommodations for the needs of persons with disabilities. The ADA benefits people who have an interest in court activities, programs and services. In 1996 the Judicial Council of California, the policy-making body for the courts, adopted California Rules of Court, rule 1.100 to implement the ADA in the state court system. Under the ADA, State laws, and the court rule, a person is entitled to an accommodation if he or she is a person with a disability. This means the person has a physical or mental impairment that limits one or more life activities, has a record of such impairment, or is regarded of having such impairment. 60 N. Washington Street, Sonora, CA. Wheelchair accessible. 41 West Yaney Avenue, Sonora, CA. Department 1 Third Floor NOT wheelchair accessible. Department 2 Ground Floor Wheelchair accessible. Department 5 Second Floor NOT wheelchair accessible. The courthouse located at 41 West Yaney Avenue is a historic building. PLEASE BE ADVISED THERE IS NO ELEVATOR IN THE BUILDING, SO PLAN ACCORDINGLY. Departments 1 and 5 are not wheelchair accessible. 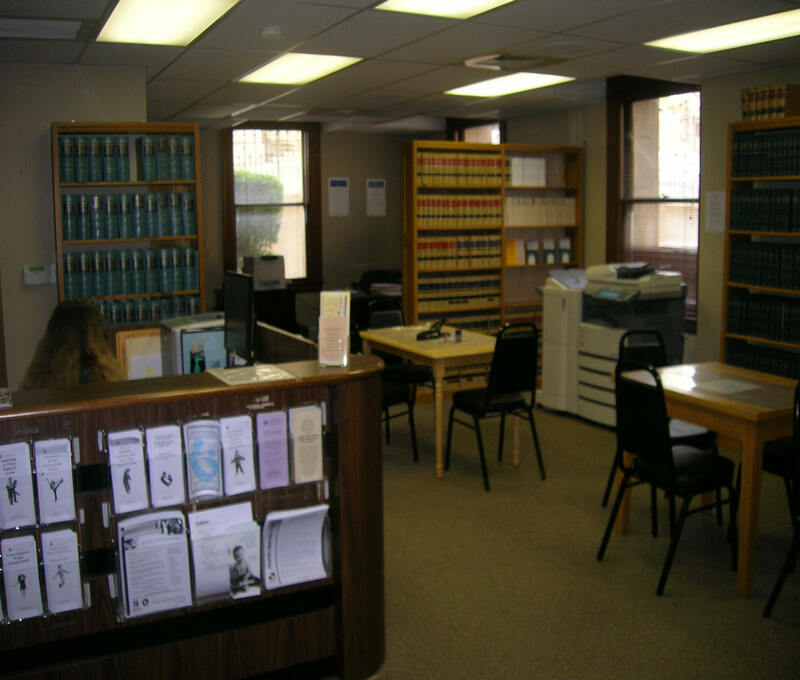 If your hearing is scheduled to take place in one of these departments, please contact the court at (209) 533-6565 for information on how to arrange for the matter to be heard on the ground floor. We recommend that you contact the court as soon as possible to ensure the availability of the accommodation you are requesting at the time of your hearing. THE COURT MAY NOT BE ABLE TO ACCOMMODATE AN UNTIMELY REQUEST. A completed Judicial Council form MC-410, Request for Accommodations by Persons With Disabilities and Response, is required to be submitted to the ADA clerk, located in the Self Help Center on the first floor of the Historic Courthouse, prior to the approval of the requested accommodation. Also, audio/video feeds from Departments 1 and 5 are available on the ground floor. You may also visit the Self Help Center located on the first floor of the Historic Courthouse for assistance with setting up this feature. If you have need of Hearing Assistance Devices during a Court Hearing, please let the Bailiff of that Courtroom know and they will accommodate you. A handicap only parking space is located behind the Historic Courthouse on Norlin Street. NOTE: If you have business at the courthouse and require assistance because of a disability, please call the court at (209) 533-6565. The court requires notification in advance in order to provide certain accommodations. For more information on services for persons with disabilities please, please call the ADA clerk at (209) 533-6565.